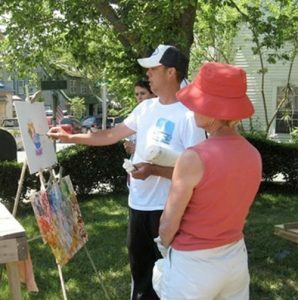 Jo ining the historic legacy of Provincetown, Massachusetts’s impressionist painters, John Clayton’s paintings are a testament to the beauty of Cape Cod’s light and color. After studying at the Art Students League in NYC, John moved to Provincetown and began an intense period of study at the Cape School of Art where Henry Hensche and Charles Hawthorne had established one of the country’s finest outdoor painting schools. John Clayton was one of eight artists selected to exhibit at the 1998 Emerging Artists Exhibition at PAAM (Provinctown Art Association and Museum).